In the shadow of the Barton United Church is a 150-year-old parsonage. Once home to a Unitarian minister, its Bible-browsing days are over. Now its breakfast is what's divine. Starting at 5 a.m. daily — except on Tuesday, when the diner is closed — Parson's Corner chef-owner Dave Rath griddles up chrome classics for a crowd of loyal, working-class devotees. The breakfast standards are spot-on, and subtly updated: Eggs come with bacon, steak or corned-beef hash and the requisite home fries and toast; melty three-egg omelettes cradle smoked salmon, asparagus and chèvre. 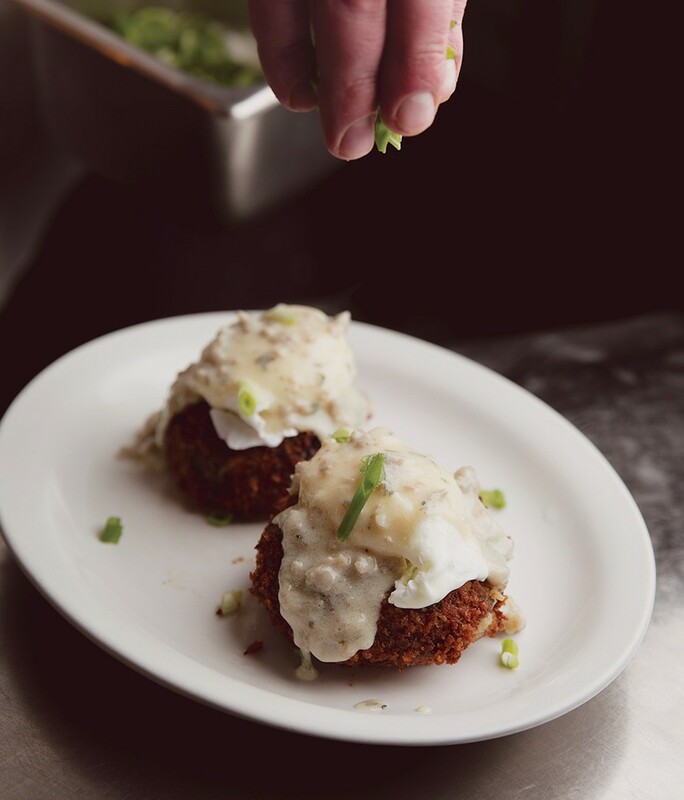 Rath also makes one of the finest crab-cake Benedicts north of the Chesapeake Bay — consider yourself lucky if it's on the specials list. The Farmer's Benedict is a Vermont take on the forever favorite: Expertly poached eggs rest on a split English muffin, smothered with chunky ham-and-sausage maple gravy. Step it up another notch by swapping the muffin out in favor of potato croquettes. 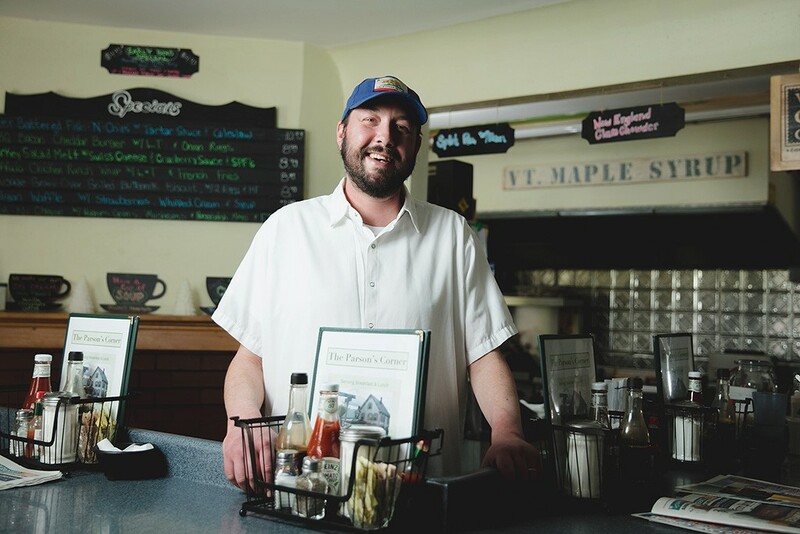 Per Green Mountain tradition, much of the produce comes from Vermont farms, and Rath smokes, brines and otherwise processes local meats in-house. 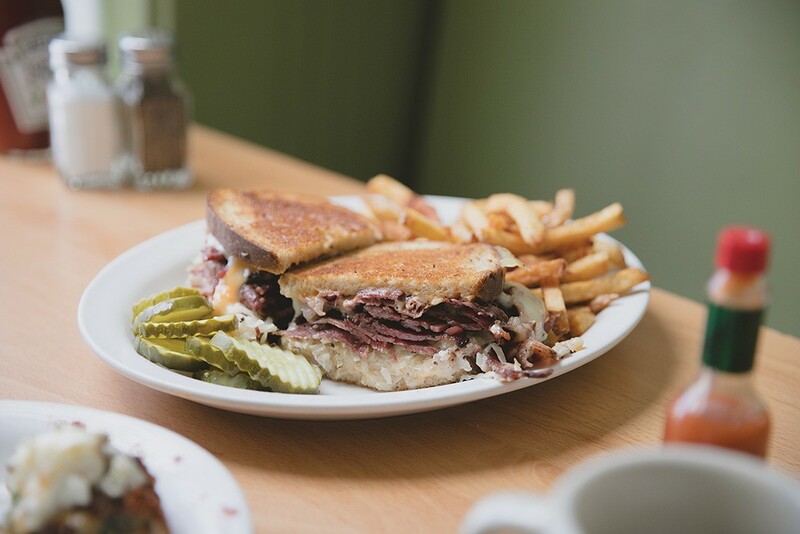 A glorious, finger-licking Reuben features hefty cuts of smoked pastrami between slices of buttered rye. There's just enough room in there for creamy dressing, sauerkraut and Swiss cheese. In the Vermonter wrap, a thin gloss of maple mayo coats crunchy fried chicken, bacon, red onion and spinach. Get it with sweet potato fries that are creamy within and fried to a delicate crisp. Or opt for a bowl of soup. Bones pulled from briny breakfast hams form the basis of a split-pea soup that's thick enough to hold a spoon upright. A milky chowder is studded with sweet corn, bacon and soft potatoes. Breakfast may be the most important meal of the day, but it's no surprise that lunch at the Parson's Corner is almighty, too. This article was originally published in 7 Nights: The Seven Days Guide to Vermont Restaurants & Bars in April 2017.